Description: Where else in the United States can you buy your own mountain for only $169 per acre? This is the lowest priced tract of land for sale anywhere in the State of Wyoming that we know of—and no credit checks! Wild game and gorgeous views in all directions! 637-acres constitutes one-square mile of land measuring 4 miles around the perimeter. History proves it is literally impossible to lose money owning rural land if purchased cheaply enough and held long enough. Price: $107,653 ($169/ac) with $4,653 down and the balance of $103,000 payable at $927 per month (amortized over 20 years including 9% with no prepayment penalties). 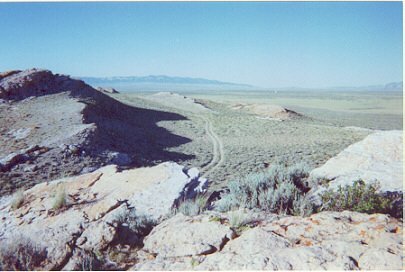 Access/Roads: This square mile of land is comprised of a beautiful, but rugged, mountain known as “Rendle Hill.” Most of the time it might be difficult to drive a car all the way to the parcel (but the eastern mountain trail comes close). This parcel is located in the checkerboard area (alternate sections owned by the BLM) so access will be across adjoining government or private land. Surveys: All sections were surveyed by the federal government at some time in the past.